There are many lovely traditions to celebrate the turning of the season from Summer to Autumn. 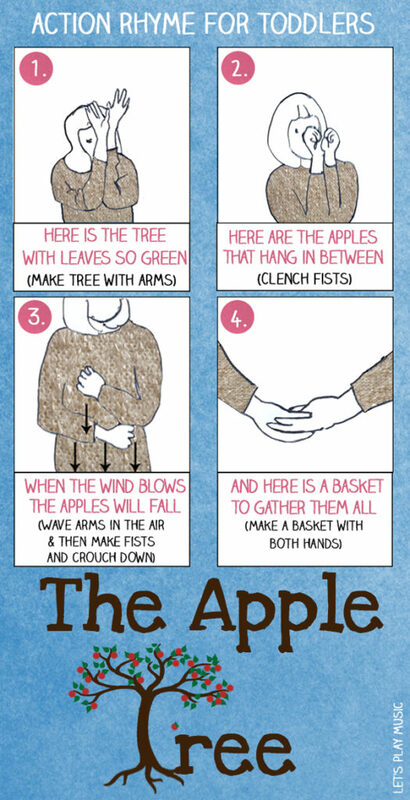 Apple Tree Apple Tree is a traditional circle game which is just right for the last days of Summer. It is often used in playground games as a way of eliminating players so that the last person left can be chosen to start the next game. I think it is also a great game to play during circle time. 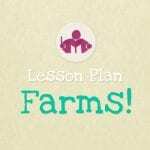 If you’re looking for more apple themed music lesson resources, check out my Harvest & Apples Lesson Plan. The simplest version is where the children sit in a circle and pass an apple around on the beat as they all sing the short song. The child who is holding the apple on ‘out’ must sit out of the circle. The song continues until there is only one player left. The last person wins the apple or can be chosen one to start the next game. Some children find being ‘out’ rather difficult. I have found that one of the best ways to overcome this is to play this sort of game quite rapidly and frequently, so that everyone experiences the process and no one feels like the odd one out. Or for slightly older children you can play it as a proper circle game as seen in the video below. This very simple song uses just So, Mi and La intervals, so it’s a good way to teach the Solfege or Do-Re-Mi degrees of the scale. So, Me and Li are the first intervals to introduce as they are the easiest to pitch. So many nursery rhymes are based on these three notes (Ring-A-Ring-A-Roses is a good example) and they are the easiest and most natural for small children to sing. 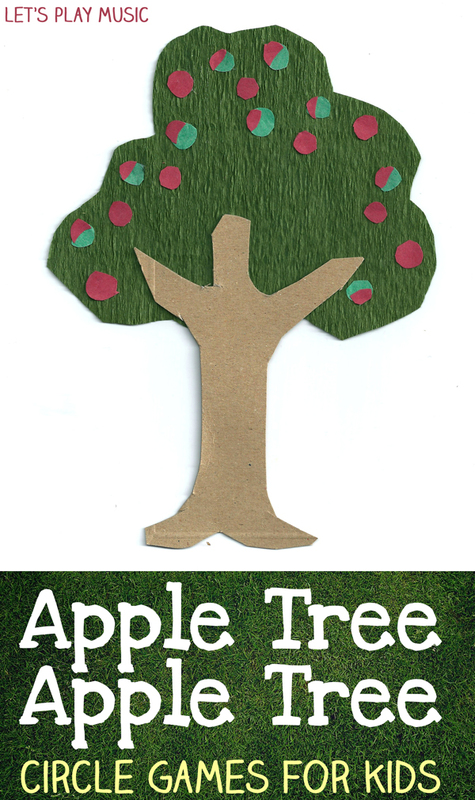 Younger children who might not be ready to play the Apple Tree Apple Tree circle game above will enjoy this simple rhyme with actions. 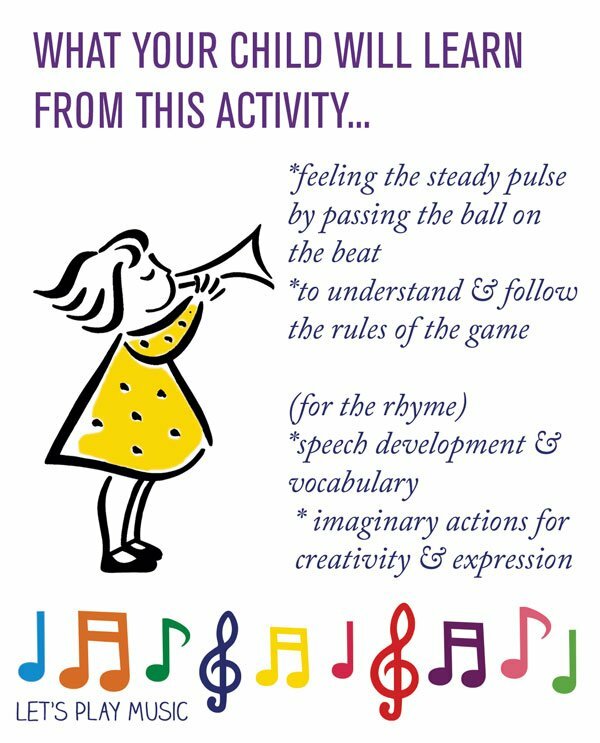 Finger rhymes are brilliant for speech development and building the imagination. These words fit very well to the traditional lullaby Rock a Bye Baby, so you can sing the words too. And here is a basket to gather them all. Check out my Harvest & Apples lesson plan for a 35 minute music lesson with lots more fun activities to celebrate the season. What a great activity! Music is a wonderful way to learn! What a great song and game! I plan on using it for a transition to handwashing before snack. When the children are “out” they then go wash hands. Thanks for the wonderful idea! I am an independent sales rep for a chemical-free cleaning company that happens to be planting 20,000 trees in honor of their 20th anniversary. In honor of this, I am creating a Pinterest board all about trees. I found your activity and could not resist adding it! Thanks for developing a fun activity for littler kids! Thanks Pauline, That makes us very happy! and thanks for featuring us! Thanks for hosting! and we will definitely be back! What lovely songs. When I am willing to admit fall is coming, I’ll share them with my daughter. Thank you for sharing at Sharing Saturday! This is so lovely, I plan to do it with my kids next week. Thanks for linking up to The Weekly Kid’s Co-Op. I am featuring this post on my Kid’s Co-Op post this week at Triple T Mum! Thanks Amie, really delighted that you’re featuring us! We always find such nice ideas on the Kids Co-op! Hope that your kids enjoy The Apple Tree song!